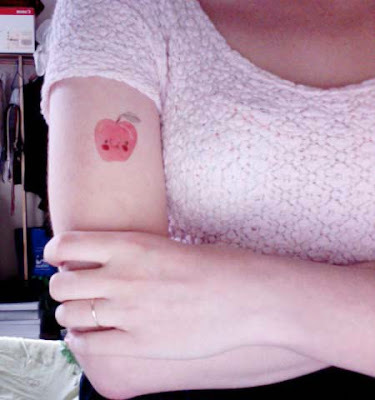 Making temporary tattoos on decal paper, for fun! Until i get someone to model for me, please enjoy these terrible photobooth snapshots. cute! How did you make yours? pen? 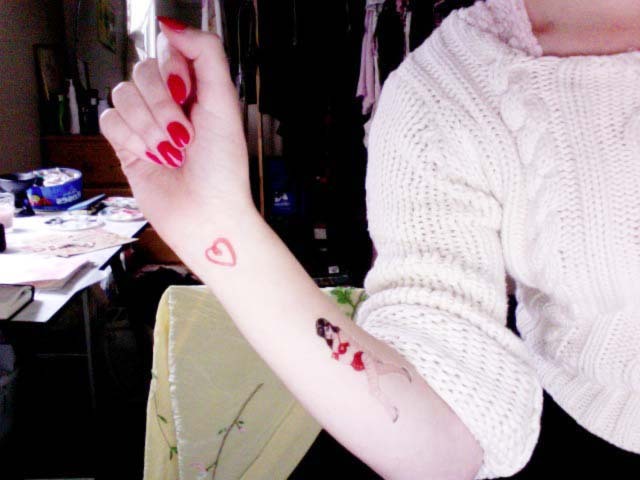 A Caitlin Shearer tattoo would be the best tattoo of all! probably the cutest thing i have ever seen. How fun! That will be an awesome thing to do during the summer! Are you really going to sell temporary tattoos? Please do! Will hopefully have them online by tonight.